ANTHONY JOSHUA would be willing to box a mixed martial artist or accept a cage fight in the future. The IBF and WBA heavyweight champion is awaiting confirmation of his next title defence against Kubrat Pulev at Las Vegas’ T-Mobile Arena on November 11 or, more likely, Cardiff’s Principality Stadium on October 28. 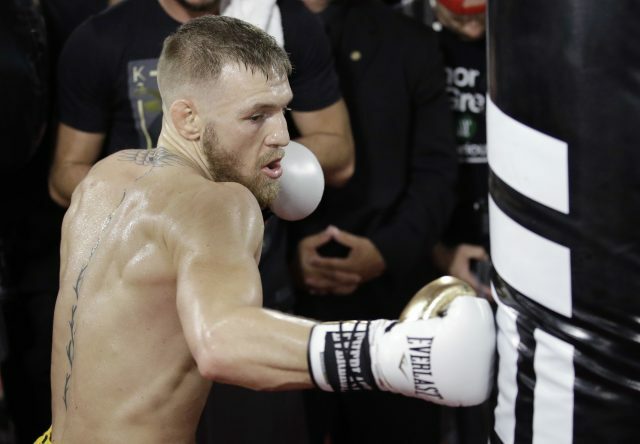 He will not attend Saturday’s fight, also at the T-Mobile Arena, when Conor McGregor makes his professional boxing debut against Floyd Mayweather because he is beginning preparations for his Bulgarian mandatory challenger. However, while the Mayweather-McGregor bout is dividing opinion, Joshua can see the appeal. He told Press Association Sport: “I like fighting, I’d do whatever. I’d probably get beaten. The only thing that they can’t do is submissions, but they can kick, elbow, bite – whatever they want. Just no submissions. “I can’t beat a guy [via submission]. That takes a lot of time to learn the skills and submissions, which I don’t have the time for, but when it comes to pure aggression and fighting rules, I can definitely fight, so I don’t mind that. “It wouldn’t be a problem. If you look at most boxers who’ve crossed over to MMA, they get beaten on the ground. James Toney, Roy Jones, they were phenomenal boxers but they just couldn’t compete in the cage because of the ‘ground and pound’ game. “I’ve been away with the family and need to get back to reality. Sitting on the beach getting my toes rubbed, that’s not the life of an athlete. 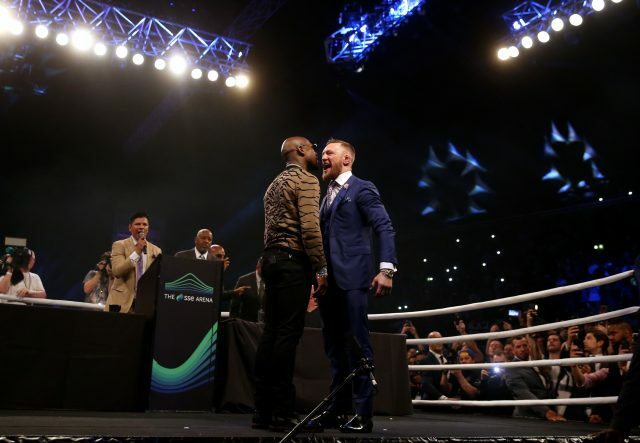 The likelihood remains that McGregor will convincingly lose to the finest boxer of the modern era, potentially minimising the appeal of future crossover fights. Joshua is among the many who give the Irishman little chance of victory, and the 27-year-old said: “It’s probably [going to be] a landslide. Look at the great fighters Mayweather’s fought, and he’s made them look average. Some of the fighters Mayweather’s fought would probably beat Conor McGregor as well. Conor can’t really compete. “He’s coming out of his field and going into Mayweather’s domain. Even though he’s an excellent fighter in UFC, he’s not an excellent boxer. Him crossing over is going to be a real, big challenge. “He could give a good account of himself. I think Mayweather will win but as long as he gives a good account of himself, it’ll work really well for him. “I don’t think Mayweather’s done it for the money, I don’t think he needs the money: he’s done well from boxing. Conor was calling him out and people were saying they wanted to see the fight. The fans dictate the fight: if they want to see it, they get it.